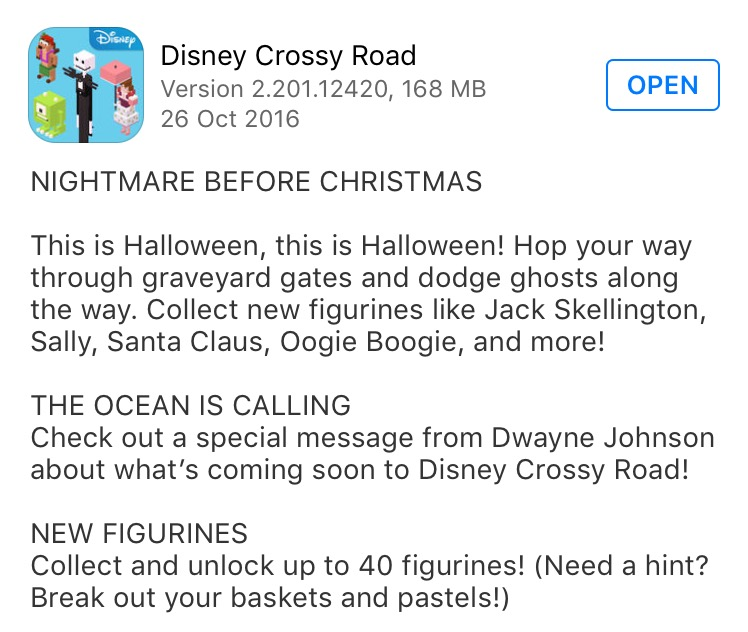 The new Disney Crossy Road Update with NEW characters from Tim Burton’s Nightmare Before Christmas movie was just released on October 27, 2016. This time it’s all about the Halloween. The total character count went up from 302 to 334 meaning 32 new characters were added. 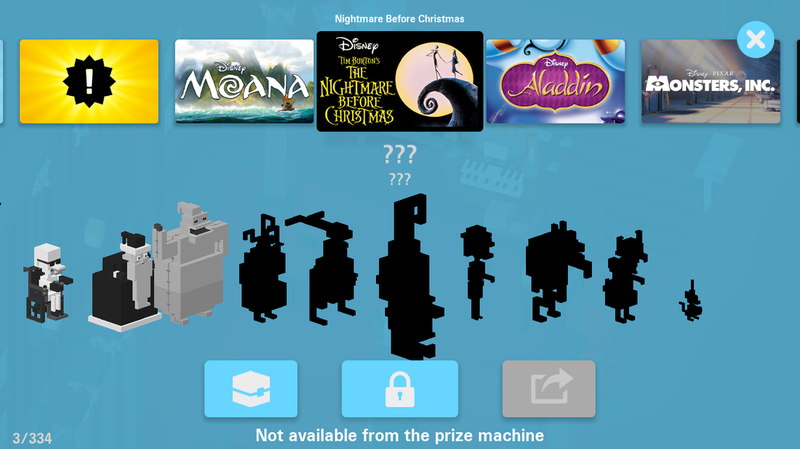 Collect 14 new normal Nightmare Before Christmas figurines and 18 secret characters (7 new Nightmare Before Christmas secret characters and 11 in other movies)!